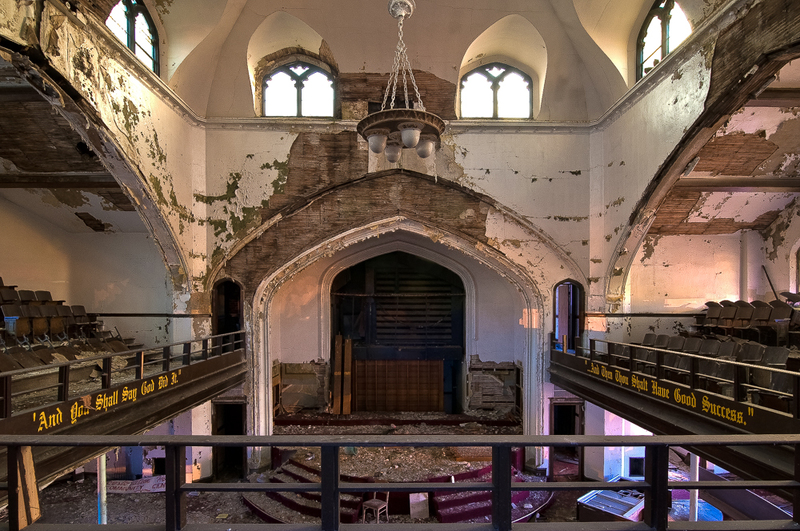 New Hope Baptist Church was built in 1930 and was located at 2059 South Fort Street at the corner of Miami Street, on Detroit’s southwest side. New Hope Baptist Church was a two-story, brick building that featured a large peaked roof. The façade featured a mix of light and dark brick accents. New Hope Baptist Church was originally built as some form of government building, but was converted to a church in it’s later years. 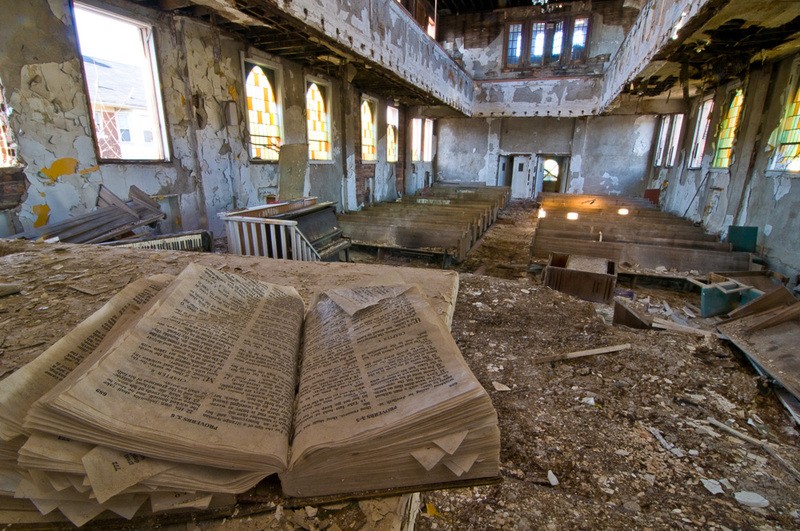 New Hope Baptist Church closed in 2010 and was left abandoned. 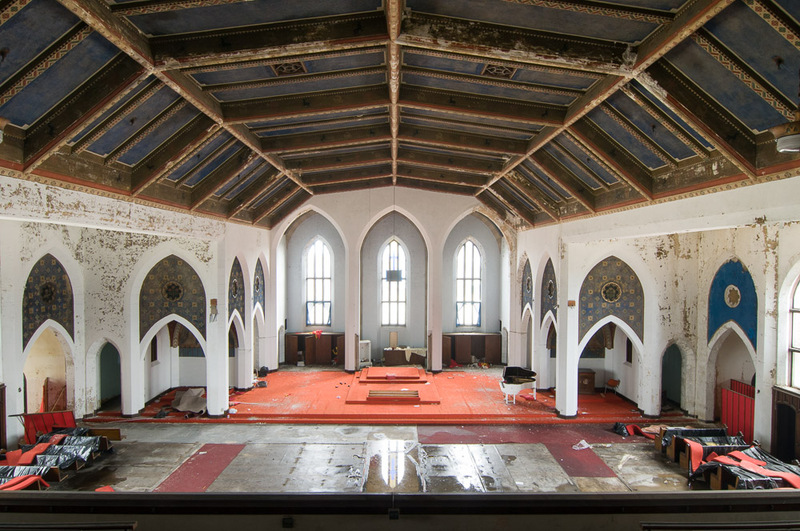 As of 2015, New Hope Baptist Church is still abandoned. 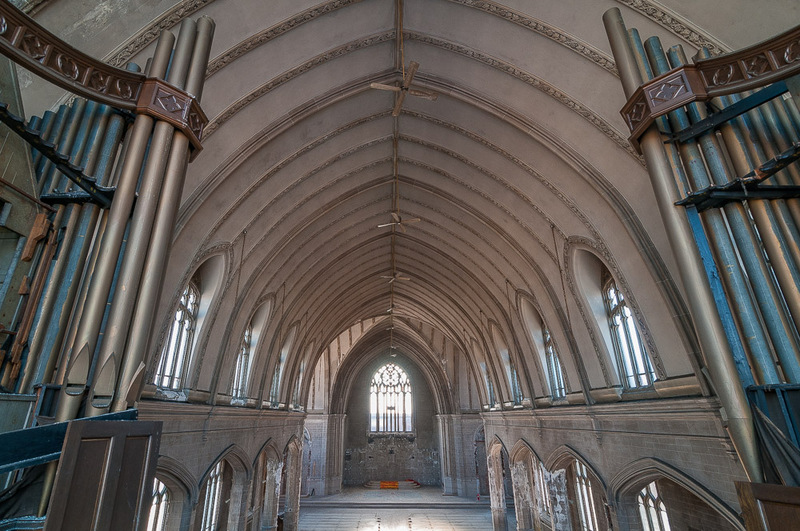 There are no current plans to renovate or demolish the abandoned church.